Australia has been a popular spot among Pakistani immigrants who tend to live and work outside the country. Also, the country has a lot to offer through Australian immigration for Pakistani nationals under its various immigration streams. The Australian immigration department has introduced different study and work visa. The various visa categories facilitate numerous candidates through its multiple routes. If you want are interested in moving to Australia, set a goal, Australian immigration policy certainly has a way for you. Also keep a check on the points calculator. Skilled workers from Pakistan can successfully start their careers in Australia keeping they fulfil the eligibility requirements for an in-demand profession listed in Skilled Occupation List (SOL) or Consolidated Skilled Occupation List (CSOL). The occupation list of in-demand professions reveals the most demanded professions for 2016 – 2017 intakes. Some of these in-demand professions include professionals in health care facilities, medical doctors, land business expertise, ICT experts, veterinarians, engineers and other eligible and experienced skilful professionals. These visa categories allow the visa holders to live and work in Australia. They can also study in Australia. After a defined period, the eligible visa holders, who abide by all the conditions and regulations, can have a permanent citizenship. The skilled visas also allow you to nominate or sponsor any of your family members. Australian business visa is a great opportunity of Australian immigration for Pakistani investors and businessmen who are willing to expand their existing business or make a fresh start in with their entrepreneurship skills in Australia. Business Innovation Stream – it accepts the business that have a potential to be of exceptional benefits to the state or territory that has sponsored or nominated the business idea. Investor Stream – it accepts an investor who is capable of providing great business and economic advantages to the sponsoring or nominating state or territory. Significant Investor Stream – for an investor who can invest 5 million AUD minimum, and hold that investment for four consecutive years in any business program can apply under this stream. Like skilled immigration, business visa also allows you to sponsor your family members. It also provides you permanent residency in Australia along with your nominated family members. 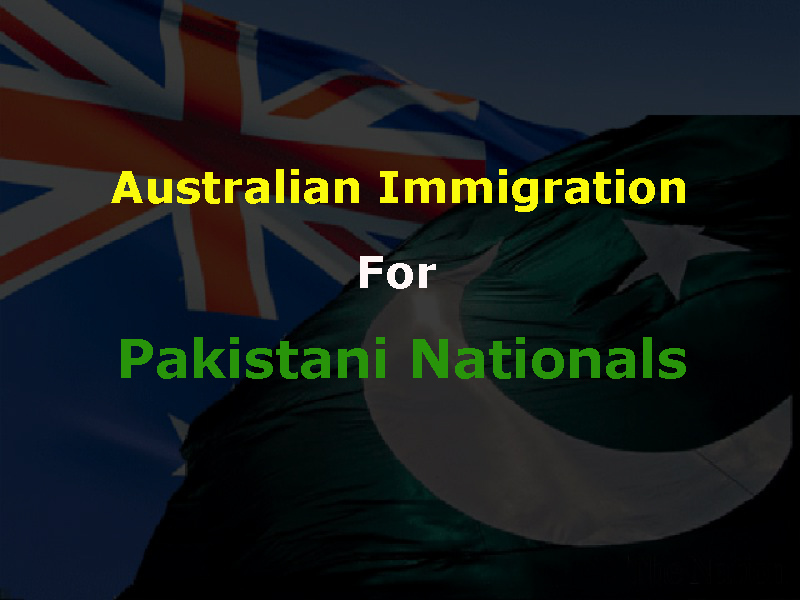 Australian immigration for Pakistani students can be made successful through Australian student visa categories. The student visa allows Pakistani students to move to Australia for higher studies. Also, the new student visa policy starting from July 1, 2016, allow the young students aged from 6 and above, are also welcomed to study in Australia. Australian immigration for Pakistani candidates is encouraged through these three immigration categories. If you are interested in moving to Australia under any of these visa categories, contact our immigration consultants. We will not only brief you on the immigration requirements but also help you to have a successful submission of your visa application.